Welcome to the Parents as Language Partners webpage, sponsored by the New York State Association of Foreign Language Teachers (NYSAFLT.) This page is designed for all the parents who have a child studying a world language. 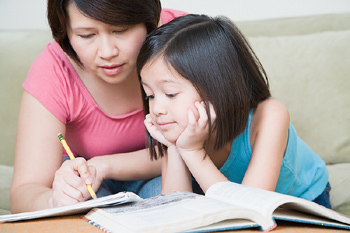 NYSAFLT believes that the role of the parent is essential in the success of a child’s learning of another language. This section of the NYSAFLT website is designed to provide parents with information about what they can do to help their child and things they should know about the study of language. 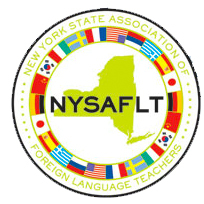 In addition, NYSAFLT believes your involvement and support for world language programs is essential. This website thus offers you links and documentation on opportunities to get more involved in the world language community. Please do not hesitate to contact the committee if you have any questions or would like to get more information. When you click below, you will find simple but strong ways of getting involved and becoming a great language partner! Why is the Study of Another Language Important? June 11, 2012 – The Parents’ Guide to Student Success was developed in response to the Common Core State Standards in English language arts and mathematics that more than 45 states have adopted. (To find out if your state has adopted the standards, visit CoreStandards.org/In-The-States.) Created by teachers, parents, education experts, and others from across the country, the standards provide clear, consistent expectations for what students should be learning at each grade in order to be prepared for college and career. National PTA® created the guides for grades K-8 and two for grades 9-12 (one for English language arts/literacy and one for mathematics). Key items that children should be learning in English language arts and mathematics in each grade, once the standards are fully implemented. Implementation of the Common Core Standards is in its early stages. It is likely that they are not currently in place in your school or school district. Each state is working on developing its own timeline and plans to implement the standards. To find out more about your state’s plans to adopt or implement the standards, please contact your state education agency. PTAs can play a pivotal role in how the standards are put in place at the state and district levels. PTA® leaders are encouraged to meet with their school, district, and/or state administrators to discuss their plans to implement the standards and how their PTA can support that work. The goal is that PTAs and education administrators will collaborate on how to share the guides with all of the parents and caregivers in their states or communities, once the standards are fully implemented. Ultimately, the aim is for the Guide to be a tool for parents to build relationships with their children’s teachers once the standards are fully in place. Wishing you a great visit and welcome to NYSAFLT! Help your child find/select a college with a strong foreign language program!